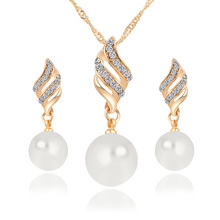 Very rare Holy Women’s Simulated Pearl Jewelry Set. PEARL Represents the queen in astrology.The PEARL is often called the“Queen of the Sea”. This is classified as spiritual and wellness product as pearls are used in this.The Pearl Harmonizes Chandra,the moon which directly influences emotions, mind, affluence and public wearing a pearl can bring harmony and stability to these influences.Moon influences the seasonal, monthly and daily cycles and rhythms in the physcology and our emotions . Highly charged and energetic pearl set .Please contact us for tips and tricks to boos your growth. Beautiful arrived in perfect condition. Kit fits the description, pearls are very large and it gives them the unnatural and makes it visually low end. IN general does not look bad. Beautiful bizhyuteriya. Delivery fast. Thank You Very Much!